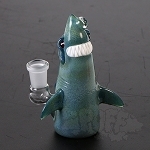 Ryan Lacovetsky began learning the art of lampworking in 1999, with Neal Kuellmer of Metamorphosis Glass, in Union Bay, BC. 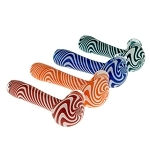 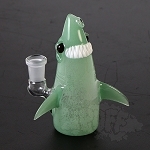 Since relocating to Winnipeg in 2001, Shine Glassworks’s mission has been to provide Canadian retailers with pipes that are as beautiful as they are durable. 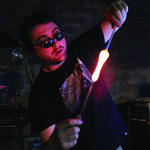 Today, at Shine Glassworks in addition to the many great pipes, and other art objects that are made, beginner glassblowing students can develop their skills with weekly glassblowing lessons and independent study, and mixed media glass/metal art installations are conceived and built.